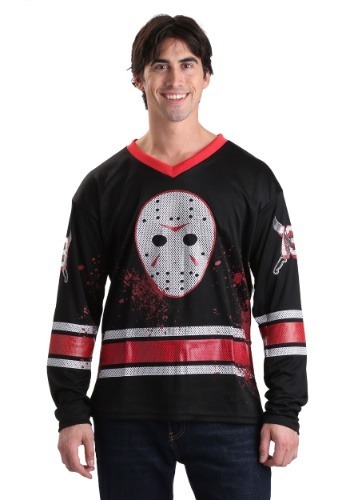 We don’t recommend acting like Jason Voorhees. He’s a psychotic killer who goes around murdering stupid, yet innocent, kids. It’s really not a very becoming trait to have. It’s a not a good way to make friends and it’s against the law. 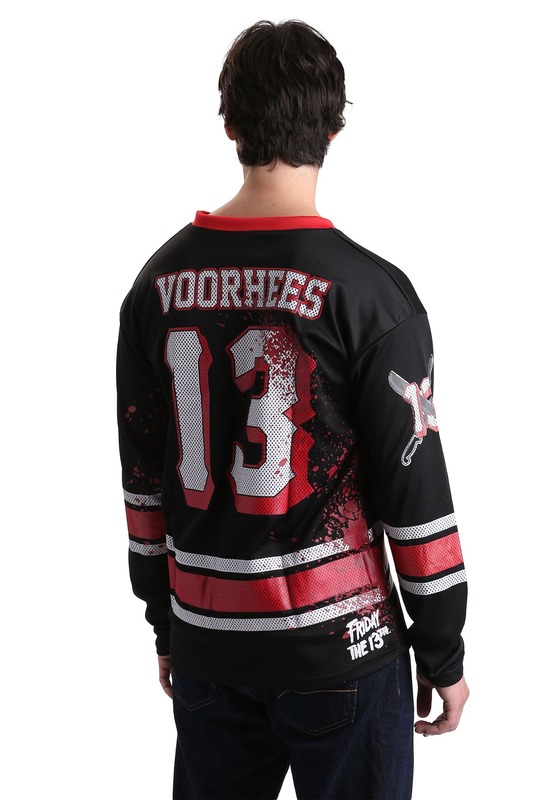 Of course, there’s nothing wrong with wearing this Jason Voorhees hockey jersey, which is based on Friday the 13th movies.